I blame it all on Jon Stewart. I mean, the man leaves for a 3 month vacation, and of course my newish anti-depressant, which was working just fine for three weeks, abandons me at the same exact time. This can not be a coincidence. I’m sure my abysmal attitude has nothing to do with my Groundhog Day week of chauffeuring my daughter back and forth from synchronized swimming practice as she prepares to compete at Nationals. Or with the fact that my hair stylist, who told me in no uncertain terms 5 years ago that he would not give me bangs, inexplicably and with no warning, suddenly gave me a Frankenstein cut yesterday. My less-than-positive reaction to both of those incidents is a symptom of the problem – not the cause. No, it’s definitely Jon Stewart’s absence. And even though John Oliver is a worthy replacement, he is not Jon. I mean, for crying out loud, he has an “h” in his first name. And I’m not the only one effected. The Bloggess is also missing him. Though she didn’t say it in so many words. Actually she didn’t say it in any words. But she’s depressed, too, and I’m pretty sure that’s the reason. I saw this video on an education blog today, of all places, and because the world revolves around me, I realized the song writer was actually speaking to me when he wrote it, although it appears it was written at least 4 years ago so that would be an amazing example of prescience that should probably be investigated by scientists, or at least by Anderson Cooper. 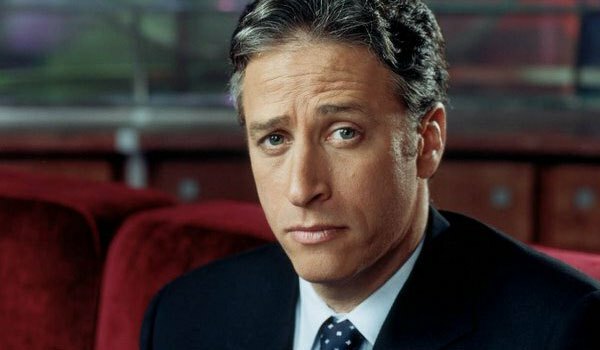 As I am a generous person, I thought I would share it with those of you who might also be dealing with the gaping hole that Jon Stewart’s dereliction of duty may have left in your life. I’ve included the transcript that was on Larry Ferlazzo’s site, where I originally found the video. Thanks, Bombadil, for believing I can conquer my affliction of the brain.